Today, I’m excited to share with you that the penultimate book of the Guardians superhero series is available for purchase. Ultimate Sacrifice picks up after book 3, The Rise of Dark Flame, and is the fourth and penultimate book in the story of Quinn and Blake, unsuspecting teenagers from my hometown of Portsmouth, NH who get super powers. This is the fourth book of the Guardians series. Ultimate Sacrifice is available in Kindle format from Amazon and will be available in paperback format shortly. 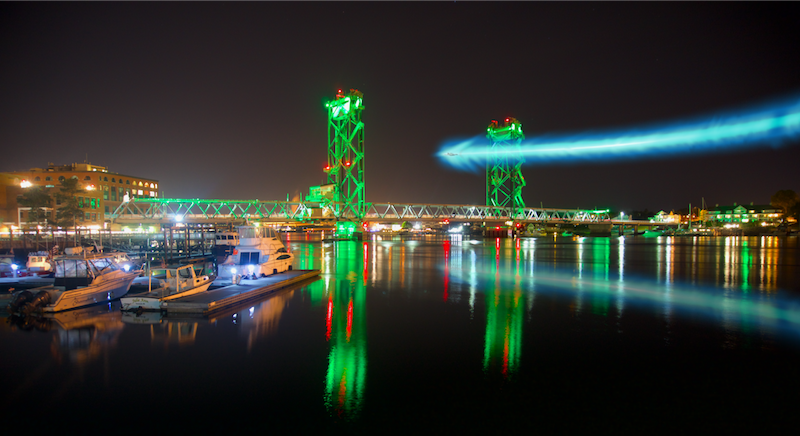 Image: Portsmouth’s new superhero flies into down over the Memorial Bridge. Photo by Timothy Chapman. Used with permission. © 2019 Damien Benoit-Ledoux. All Rights Reserved.